It's always a dilemma when your production takes you off the grid to places your cameraperson can't reach, so CINEGEARS has released two new RC gimbal cars to help you get that elusive, remote shot. 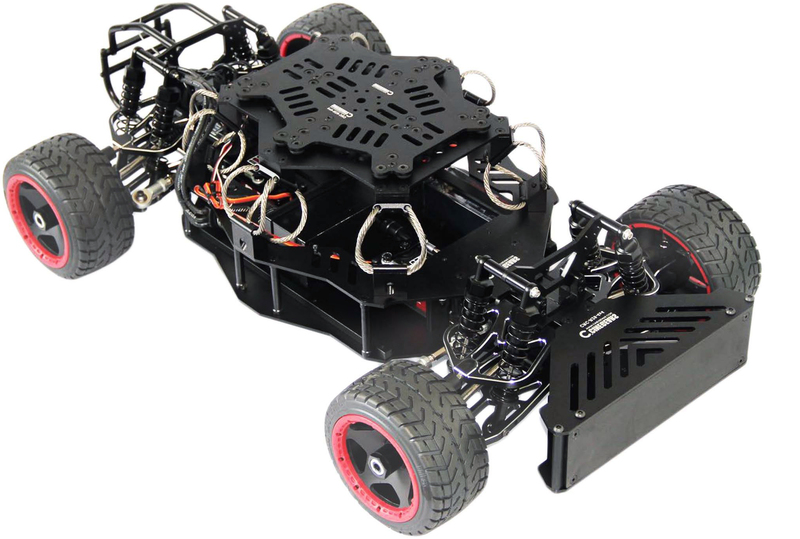 The 4 x 4 All-Wheel Drive X and the VR Cube gimbal cars can help your camera navigate difficult or dangerous terrain safely and remotely to get smooth, stabilized gimbal footage. Both cars allow you to mount your camera gimbal safely on top, and control the car remotely and wirelessly on virtually any terrain. 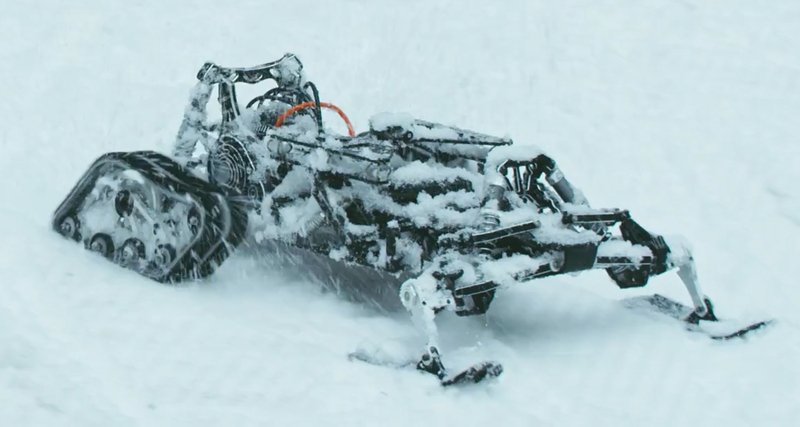 The X gimbal car updates CINEGEARS' 4 x 4 model with the addition of four rover treads that help the car in snow, on ice, or in rocky or sandy conditions. 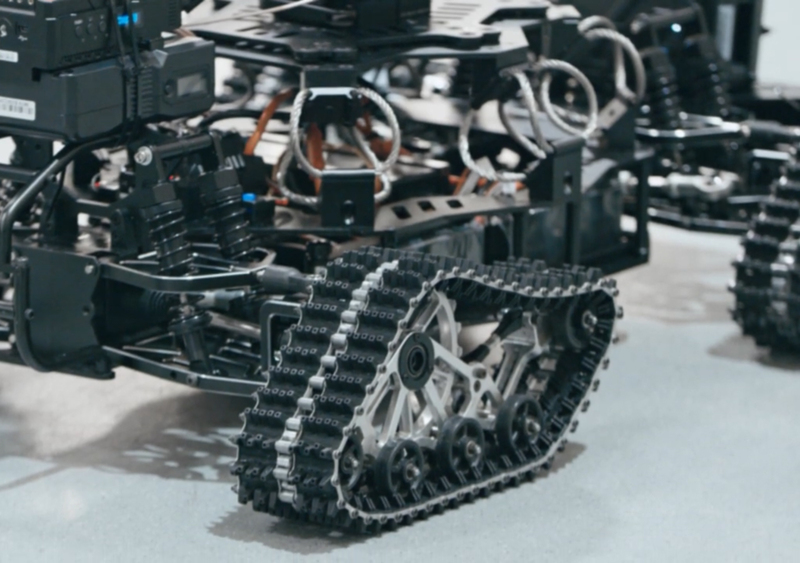 The treads can be swapped out for four rugged rubber wheels for even faster speeds, or go with two treads and two wheels, depending on the terrain. And this car is speedy. 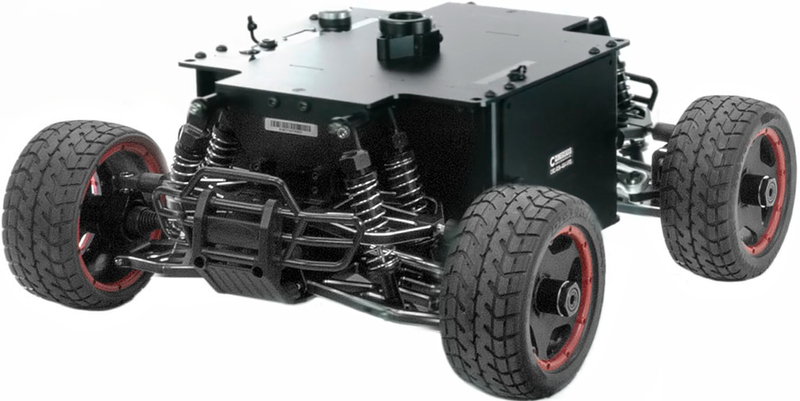 Its electric transmission system brags a top speed of 50 mph with electric steering and three-point suspension, and it supports a maximum payload of up to 66 lb. The top mounting plate has also been redesigned, offering multiple threads for different camera mounts and accessories. The car comes with two 14.8V lithium-ion batteries, but they can be swapped out for higher-capacity combinations to provide up to 24 hours of run time—incredibly important for those long days out in the desert or on top of a mountain. The 4 x 4 can also become a 6 x 6 with an optional 2-wheel extension if you need additional payload support. 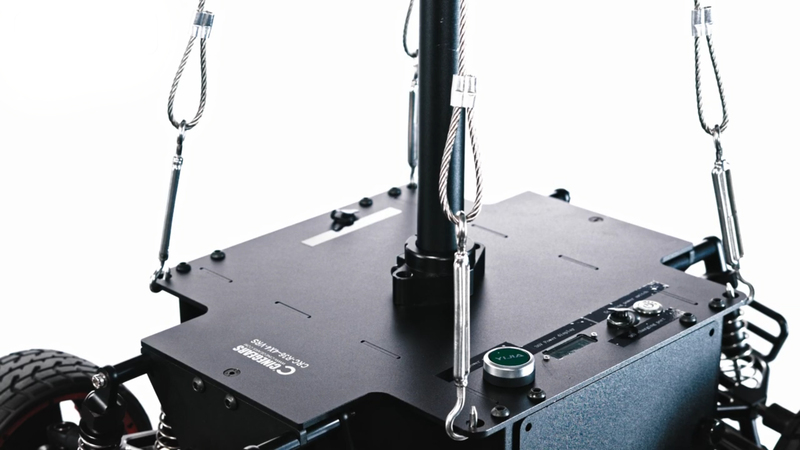 The VR Cube is designed for use in VR productions, employing a 5' telescoping center pole and rope dampener for stabilizing multiple cameras or a center VR camera in 180 or 360 recording mode. 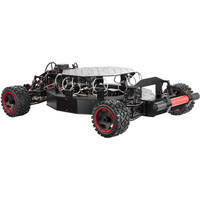 It uses a three-point suspension system and a brushless 150Kv motor which can propel the car up to 6 mph with a maximum payload of 11 lb. Its 36V Li-ion battery provides long battery life which, like the X model, can be swapped out for higher-capacity combinations for up to 24 hours of battery life. Both gimbal cars can be guided with a wireless, 2.4 GHz remote controller with a range of up to 6.2 miles, allowing your car to roam freely in out-of-reach locations. They are also both made of aluminum, which makes them durable, as well as waterproof and dustproof, so they can survive rough weather and tough terrain. The cars feature a built-in DJI Ronin mounting adapter, and you can purchase optional adapters for gimbal types such as MōVI to secure your gimbal and camera on the top mounting plate. 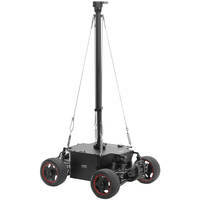 Both the X and VR Cube gimbal car models make excellent additions to a professional field crew with all-terrain, all-weather needs. Have you used one of CINEGEARS' All-Wheel Drive X or VR Cube in your production? Share your thoughts below.